Parents…would you like a night without kids? Due for a date night? I mean, it’s the week of Valentine’s Day! We have you covered. 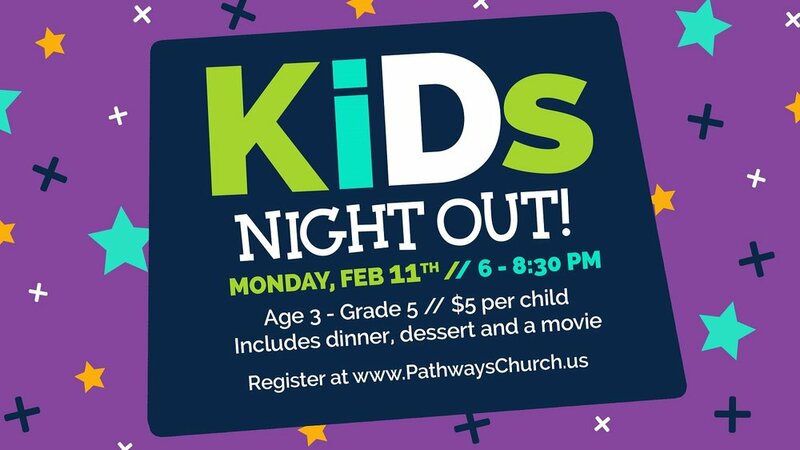 Bring your child, ages 3 through grade 5, to Kid’s Night Out at Pathways Church on Monday, February 11, from 6-8:30PM. Online registration closes Sunday, February 10.